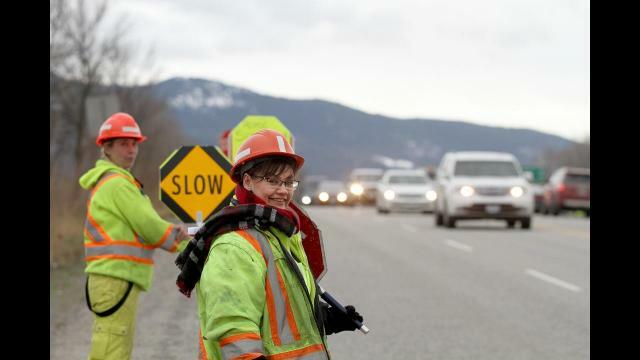 Nov. 25, 2017 11:15 a.m.
Traffic control showed their support for a colleague who was hit on the job during a rally held on Hospital Hill in Vernon Saturday. The 66-year-old woman injured on the job Nov. 17 on Highway 6 near Lavington remains in hospital in critical condition. “The investigation is still ongoing,” said RCMP Const. Kelly Brett. The driver of the vehicle that hit the flagger could potentially face charges.